This is not a maximum hold hair spray that will freeze a prom up-do or 80's bangs. I can say with confidence that it's a flexible hold formula. I was a loyal user of firm hold hairspray for years before trying this formula, now I PREFER this to my old sprays. I have very thin, curly, and sparse hair. Loosing much of it with age. I’ve been looking for a hairspray that would not damage the little hair I still have. This is hopeful and I will try it this week. Will ACV work as well as the alcohol? I’m afraid the alcohol will dry my hair, and cause more loss or breakage. Thank you so much in advance. Would lemon impart a yellow cast to grey/white hair? I sprayed this on my hair and then curled it, I had the best curls ever you should really try spraying it on your hair than curling it. I have been using the orange version of this recipe, with white rum as the alcohol, for a number of months. Unfortunately, I think I’ve narrowed down a skin issue to using this hairspray. I have never reacted to citrus fruit, so was reluctant to blame it, but having ruled out everything else, it must be so. I’ve tried sugar-water, and don’t like it at all. Are there any other hairspray recipes out there? What a serious bummer! I’m not a huge fan of the sugar hairspray either. Unfortunately, I don’t have any other hairspray recipes. 🙁 Have you tried this recipe using a lemon? If so, does it create the same problem for you? It could be an allergy to alcohol. I have an allergy to drinking alcohol and realized last year I have an allergy to the rubbing alcohol and had to stop using it in my diy insect repellant (your recipe). No, hair does not have to be washed the day after using this. I typically only shampoo my hair every other day so as not to dry out my scalp and hair (and I use the hairspray almost every day). It doesn’t leave buildup like commercial hairsprays. Yes, you can omit the alcohol and essential oil, but leaving out the alcohol will greatly reduce the shelf life of your hairspray. Be sure to store it in the refrigerator if leaving alcohol out. Use it up within two weeks. If you want to extend the life of the hairspray, keep only a small amount in your bathroom, and your “refill” supply in the refrigerator. Have you considered experimenting with witch hazel instead of the alcohol? Witch Hazel is a much lower proof, but I’m wondering if it would work similarly. I have not. But be sure to write back and let us know how it goes if you try it! hey thanks for this! cant wait to try it out! but since an orange is a lot bigger than a lemon, can we use it with the same quantity of water? or should i use more water with the orange? I have made it with both lemons and oranges, and always just used the same amount of water. When you mix up your first batch with an orange you can see if you like the “stickiness,” and add more water if it’s too sticky for you. Hope you like it! Thanks for all the extra tips! 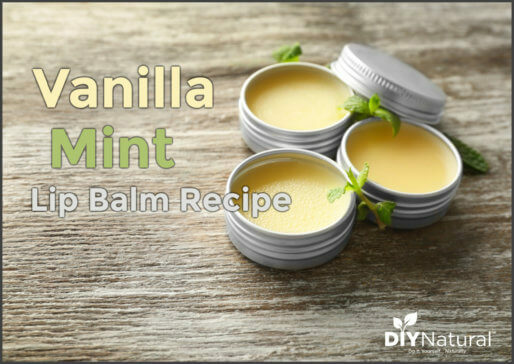 I made the recipe and loved the way it works, but it is making my hair really dry and brittle. I’m going to try AC vinegar next, then maybe vodka. I suspect that one of the reasons this recipe works is that there is a lot of pectin in citrus fruits (in which case maybe grapefruit or tangerine would work?). Pectin would be in the boiled-out product, and that would definitely give it a hold. Pectin is also often used instead of gelatin to thicken things, so it makes sense to me! I wonder if you could get a firmer-hold spray by adding actual store-bought canning pectin to it? I might have to experiment a little. Great thinking Terrie! I’m the first to admit, I’m not very science minded, but it all makes sense when you break it down like that. Please let us know how it turns out if you do some experimenting!!! I too plan to omit the alcohol, but I will replace it with Apple Cider Vinegar for preservative and conditioning effects. Thanks for this! What if you have black/brownish hair? I am worried that it may lighten my natural dark color that I have hopes not to change. Will it highlight my hair if I’m in the sun pretty often. And what if you live in a humid bug attraction area, am I going to have a swarm around me if I use this recipe? Thanks for your reply…makes sense. When I find and order all of the ingredients and put this formula together to make the hair gel, I’ll let you know the results. 🙂 Thanks, again, for your research and sharing your discoveries with me! Much appreciated!! I checked over the link for the flax seed hair gel, and THIS looks very promising, indeed. THANKS! Now….to get my ingredients ordered online since they’re not available on the shelf here in my small city. I do have a question regarding the instructions in this formula. It appears something is missing either within the list of ingredients or the actual instructions — “…pour the gel through the stockings into the mixing bowl.” What stockings? Do you have any idea what is meant here? Thanks for this recipe…can’t wait to try it. 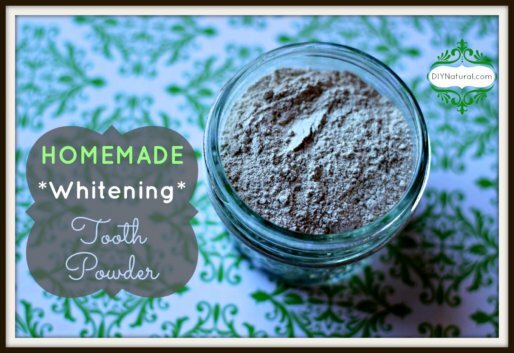 I am always on the search for natural beauty products, so this find is definitely a treasure! Do you have any plans to create a HAIR GEL (firm hold) recipe? I really would like to find a more natural substitute that would be a healthier alternative to the currently popular brands that are mass produced. Connie…no firm hold hair gel yet. 🙁 I use pure aloe vera gel (NOT the green stuff for sunburns) on my hair currently, but it’s definitely only a flexible hold hair gel. I have heard of natural hair gel you can make using flax seeds, but I’m not sure what type of hold it provides. Thanks for your reply, Betsy! While I’ve not seen a hair gel RECIPE made with flax seeds, I have seen a commercially produced hair gel somewhere (likely Whole Foods several years ago). However, in lieu of an actual recipe for a flax-seed version, I wonder if combining the pure aloe vera gel with the homemade hair spray would possibly work to produce the flexible hold of the gel as you describe, yet also have more holding power that the hair spray gives. Think that might be a possibility? For regular styling gel my kids have used 99% aloe vera gel. Works like a charm. Have you tried citrus infused vinegar? Love the idea…question: would this draw flies and mosquitoes etc. to my hair???? One way to repel insects is to rub lemon (or was it orange) rind on your skin. I think this would probably repel them as well. Can you give me some names of some essential oil, that you use. Some of our favorite essential oils are Lavender, Tea Tree, Peppermint, Rosemary, Eucalyptus, Sweet Orange, Lemon (and the list goes on)! If you’re new to essential oils, these are some that I would suggest starting with (especially lavender and tea tree) because most of these are good for body care AND cleaning! I love this idea…do you think I could use another fruit like an apple instead of an orange or lemon? I haven’t tried non-citrus fruits, and I’m assuming you might not get the same amount of juice and “stickiness” with an apple that you can get from citrus fruits. If you do try this be sure to write back and let us know how it works! I am so eager to try this! 🙂 Thanks for sharing! I do have a question though. If I do not add alcohol, how long will this mixture last? Do I put it in the refrigerator? If you omit the alcohol you will need to store it in the refrigerator. It should last a few weeks. Have fun experimenting! 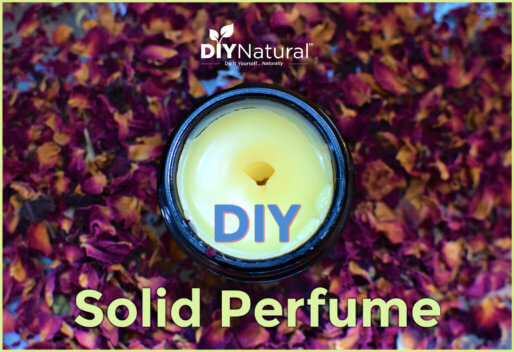 I love the citrus-lavender scent and how totally easy this formula is! One question though–when do you use the spray? When your hair is still damp from towel drying, once it’s mostly dry, etc.? So far the spray has done alright for me, but maybe it would do better if I sprayed it at a different time. Since I have long, thick, curly hair, I use it more as a styling spray. I spray generously when my hair is still damp, then again after drying to set the curls a little better. Definitely experiment with spraying at different times to see if you get better results! 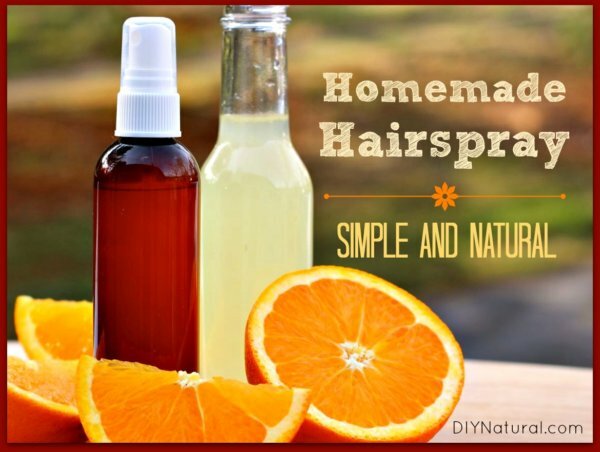 I’ve been searching to see what’s all out there for homemade hairspray and this is one of the more popular…I haven’t use it so i have no idea if it really works…. The ingredients required to make this hair spray are 1-tablespoon sugar, one-cup hot purified water, one-tablespoon vodka (optional) (i’m assuming rubbing alcohol would work too), and three to five drops of oil. In a pan add sugar and water. Boil water and make it sure that the sugar dissolves in water. Add oil and vodka. Use the ingredient in a week. Wash the nozzle of the bottle to avoid any clogging after use. Do not run your fingers in your hair until the solution of sugar dries. Spray the hair spray on the hairbrush and then comb your hair. This will prevent your hair ends from flying. This is great! I’ve seen another recipe if you want that ‘extra-hold’ feeling that just adds some sugar, which would also help if you want alcohol free to act as a preservative. Thanks for the tips! I really want to thank you for this recipe. I have long, thick red hair that either forms loose curls or is one big mess of frizz depending on the products I use on it. I have for years only used natural products on it as I have found the other commerically bought ones just wreck my hair. I am currently living in Paraguay doing voluntary work and have run out of the store bought natural hair moisturiser I would normally use back home to tame my hair. After trying different products available here, I thought I would look for something natural that my hair liked instead of the chemically laced bought ones which have just destroyed my previously healthy hair. Not having an income and relying on very meager savings which are vanishing quickly, and knowing in four months time when I return to Australia I also will be short on cash for awhile, was another major factor in my wanting to be able to make something myself. I have used your shampoo and hairspray twice now and it works just as well as the very expensive natural products I would use back home. My curls are defined and my hair is shiny (I also added a tiny bit of olive oil to the spray to add moisturisation) I have looked for homemade products before but normally the recipes are complicated and use things which aren’t readily available. Citrus trees line the streets here and even in the shops oranges are very cheap so I will be able to make this for next to nothing. Thank you, thank you. My hair is very hard to look after and so for me to get these results after just two uses is amazing. Should this be kept in the fridge? If not, how long should I expect the hairspray to stay good? This formula does not need to be kept in the fridge unless you are omitting the alcohol. It is good for more than a month in my experience. DIY Natural is my new favorite site. Love all your homemade products, I’m known in my circle as the bag lady because of my frugality. Although, my sons and daughter-in-laws are catching on. Why not save and then have more money to spend on quilting fabric!!! You did talk about curly, thick hair and the hairspray; but your picture shows you with straight hair. I wanted to pass this on to a friend of mine that has natural, very curly, unruly hair. Yes Jackie, the picture used on this site for me is 2 yrs. old…I’m no longer fighting the curls & have grown my hair out. 🙂 Suppose I should have a more current picture of myself. Oooh, I’d love to try this! Out of curiosity… Is the orange needed for the hold or just as a scent? Could I just do water and alcohol? Or is it way too stinky? I make quite a few of my own beauty products, but I’ve yet to see a recipe for hairspray. So simple, and I the aroma must be heavenly, too. Thanks for sharing! Yay, so happy you’re pleased with this one! Thanks for letting us know! You guys are fantastic! This is the one product I’ve been having a hard time justifying my use of. I recently switched hair products because I realized the one I had been using since I was a teenager had gelatin in it (I’ve been vegan 5 years). Switching out my toothpaste, deodorant and other cleaners has made me feel guilty about using neon-colored hair holding products. Thanks for the recipe! I too have some pretty curly hair that loves to frizz in New England humidity, I’ll keep you posted on how this works for me! I hope it lives up to your expectations! It is such a relief when you finally find a good substitution for the products you want to ease out of your regimen. Good luck with this new one! Thanks for this recipe! When I was a teenager, I would put lemon juice in my hair before going outside so it would lighten in the sun. My hair is really dark so by the end of summer I’d have brassy highlights. Will this hairspray make your hair lighter? And is it better for brunettes to use oranges than lemons?